For feeding the separator only a smaller pump will be needed. 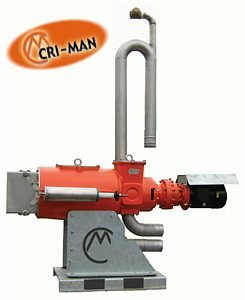 Because the separator throughput is between 8 and 50 m³ per hour power ratings from 2 to 4 kW are sufficient by default. In general, the separator is fed from the post-fermenter or the fermentation residue storage.